I picked up 4 Ricky Ford LPs recently and can’t get them off my turntable rotation which made me think of the possibility of a Complete Ricky Ford Muse Recordings, which would span at least 4-5 CDs. Any thoughts on this or other musicians that deserve a Mosaic set? 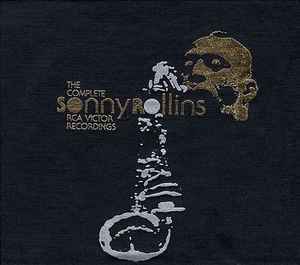 I emailed Scott Wenzel a few weeks ago about the possibility of Mosaic doing a box of the Sonny Rollins band with Don Cherry (assuming that Sonny and RCA/BMG would agree) in good sound - unlike the bootleg set that came out a couple of years ago. He said that he'd pass the suggestion along, but I doubt that anything will happen. If you are referring to the bootleg Sonny Rollins at the Village Gate box set, it has very good recording quality. It should have good sound, it was recorded by RCA and lifted from their vaults. Bill Barron. Bill Barron. Bill Barron. Tell that story, get his brother involved in the annotation, do it now, do it VERY now. I contacted them years back about a complete Hutcherson/Land set, which could pull in the Land sets on Maintstream and Cadet, as well as the Hutcherson Blue Note titles. I also think a Gary Bartz Milestone set would be really good. I think the current/new regime (as it's shaping up) is going to be less inclined to do anything that's stylistically "post-1959". I admit that I bought it too. Shame on me - BUT it does sound great. Me too. It's pretty great all around. Sonny should set up a paypal account for purchasers of this set; I would gladly pay him direct royalties for the set. I guess I'm in a minority of one here. I listened to the boot again this morning and compared it with my mono RCA LP original of Our Man in Jazz (bought shortly after it was issued) and a Classics stereo LP reissue. The boot sounds decent (somewhat bloated sound, to my ears), but not up to the standards of the others. OH YEAH, felser! I'm on board for the Hutch/Land (no surprise) AND the Bartz! I've (we've) mentioned it before, but I'm still hoping for a Mal Waldron Victor Japan set. 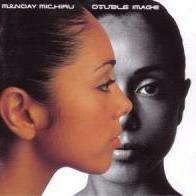 It would include his collaborations with Terumasa Hino & Jackie McLean -- as well as solo sets. All hard-to-find & expensive records. All outstanding. Yeah, I've noticed that too. ...and I'm sorta bummed about it. I think there's PLENTY of relatively-recent music that deserves wider exposure / the "Mosaic treatment." But I guess it all comes down to the preferences of the guys who are running the show. I guess you can't fault them for that. And I don't/won't fault them. I'll just buy less from them. A set of the Max Roach Quartet 1970's Horo/Denon/Victor/Baystate recordings would be awesome. If Gary Bartz had any say in it, I doubt he'd want his Milestone dates reissued by Mosaic. I once tried to get him to sign one of them and he refused, saying something along the lines of "I never made a dime from them". A set of the Max Roach Quartet 1970's Horo/Denon/Victor recordings would be awesome. Hey, it's a WISH list! I've said it before and I'll say it again - my wish is that Mosaic would pay Steve Hoffman to master one set, preferably releasing it using SACD hybrid discs, and see how well it sells. No matter if you like his forums or not, his name on the set will attract buyers who would otherwise never even think about it. So pick any of these suggestions (but my vote is with Jim on Bill Barron), contract Hoffman to remaster it, and see what happens. It can't really hurt sales. I used to advocate for a Johnny Hodges 60s Verve set, but the Andorrans have reissued that material and screwed the pooch on a Mosaic set. I like the "complete label" sets (Savoy, Dial, Bee Hive). How about a complete set of Lionel Hampton's "Who's Who in Jazz" label? I think there are a number of buried treasures there, including Mingus's last recording on bass. How about a complete set of Lionel Hampton's "Who's Who in Jazz" label? I think there are a number of buried treasures there, including Mingus's last recording on bass. A savvy call. Some serious, possibly impossible, remastering might be needed, but other than that, yeah.